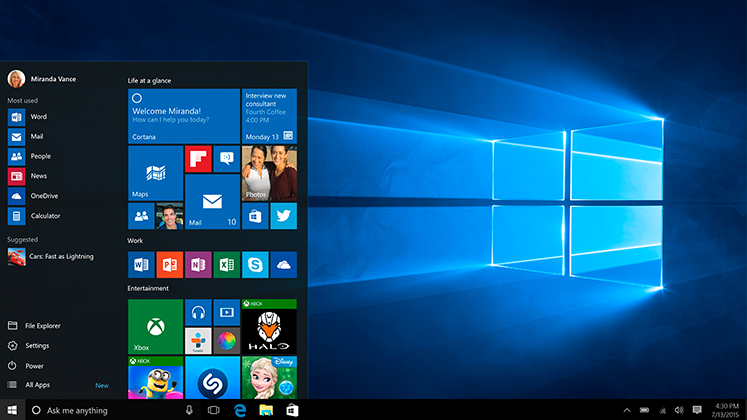 Last week, Microsoft launched Windows 10, the newest edition of the most used operating system on the planet. Normally, the launch of an operating system doesn’t particularly matter for SEO marketers, but this is a special occasion. SEO is affected by the browser and search engine a consumer chooses. There’s a chance users with Windows 10 may decide to keep using Microsoft’s new Edge Browser and continue using Bing for their searches. So the launch of Windows 10 may increase Bing’s market share among search engines as well as its profitability for Microsoft. What makes the launch of Windows 10 so special is that it’s free for many of the users of Windows 7 and up. Operating systems are expensive (as anyone who’s ever had to buy one that wasn’t included with the computer knows) so Microsoft has had a problem in the past getting people to upgrade. Giving Windows 10 away for free keeps Microsoft’s marketshare high and, more importantly, it gets people a chance to try new features like the Edge Browser, that replaces Internet Explorer, and Cortana, the Microsoft’s digital assistant. Since both features will get users to Bing, it can help Microsoft make more money from search ads. Microsoft is actually expecting a pretty big windfall for Bing from the Windows 10 launch. Last week, Bing Ad’s General Manager David Pann added a blog post titled, “Big News for Bing Advertisers, Introducing Windows 10” that had very ambitious goals for Bing in the coming months. So ambitious, in fact, that the post was later removed for some reason. Still, looking at some of the things he said gives marketers an insight into Microsoft is expecting. “We’re estimating query volume gains from 10 to 15 percent as early as September — not only from new users, but from existing Bing users who will now use Bing more frequently,” he wrote, according to media reports based on the blog post. This would certainly be an impressive gain for Bing if it happens, but it’s important to put the numbers in perspective. To make a long story short, a 10 to 15 percent increase in the search volume of Bing would only increase their market share by a few points at the most. Still, that would be an amazing gain for a single month. The company also believes the Cortana feature will keep people using the new Edge browser and keep them on the new MSN page. “When users launch the new Microsoft Edge browser, they will see the brand new MSN – optimized for search. Only Edge has Cortana built right into the address bar,” wrote Pann. This too will increase revenue for Microsoft and provide new opportunities for marketers since Microsoft recently launched Bing Native Ads that will show on MSN. Given the increases in revenue that Microsoft hopes to see from new users of Windows 10 it’s clear why they’re willing to forgo the $100 to $200 they would have charged former Windows users to upgrade. So far, the plan has worked extremely well for Microsoft. It’s only been on the market for about a week and there are already more than 14 million downloads. And since Microsoft 10 will come installed on new PCs, laptops and tablets in the future, the number of people using Windows 10 is sure to grow. Though it was eventually taken down, Pann’s predictions about growth on Bing may come to pass. For more news about Bing, read this article about recent changes to the Yahoo and Bing partnership.